Who said you have to buy a funky new gadget to stay in shape or track your fitness? The following Android and iOS apps allow you to unlock the hidden potential of your smartphone and tablet in the truest sense of the word, and deliver a healthy makeover to your life in no time. You don’t need any other app apart from the following ten. This is not just an app, it’s a fitness gamification network unlike any other within the grasp of your smartphone or tablet. The greatest thing that this app has done for us is to make the job of staying in shape less daunting and a fun activity, not unlike playing a game on your smart device, and a group activity (to some extent). Who thought staying in shape was like playing a real- life game, eh? Don’t waste any time and just install it on your smart device and give it a try. Download the app for your iPhone and Android smartphone. If we don’t get enough sleep, it adversely affects our health. And if you have trouble sleeping, this brilliant iPhone app claims to work like a charm and helps you get your sleep cycle in order. Install the app on your phone, turn it on and keep it next to you while you sleep. The app will analyze your sleep pattern through its built-in accelerometer that detects your movement, sounds, and other actions while you’re asleep. This helps the app understand which state of sleep you’re suspended in. And when the app detects your floating back to a lighter sleep state, the app will ring an alarm and wake you up. Download it for you iPhone from here. Unfortunately, Android users will have to pass this app for now. 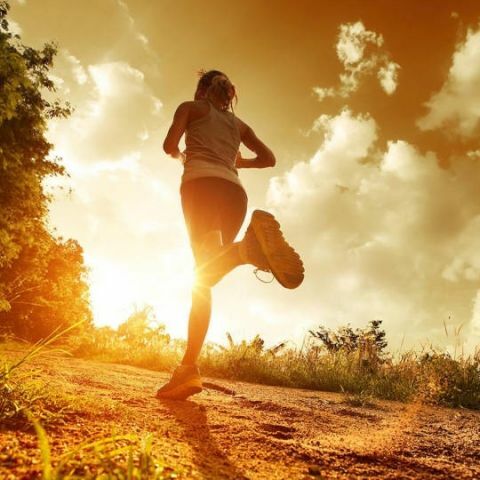 With over 20 million users worldwide, this is the most popular running app on the planet for a reason – it’s simple and it works. 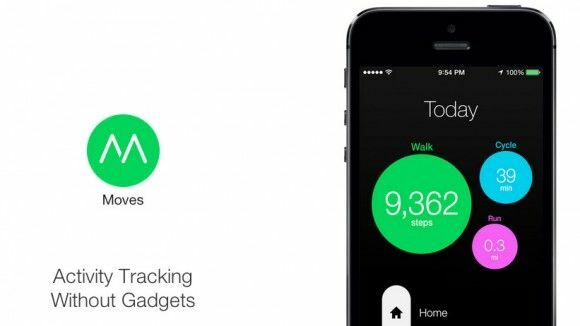 This app lets you log distance with GPS tracking, set goals, track progress, and beat previous records. It sets reminders to work out, and also recommends an in-app training plan for several race types of running modes. It also tracks your heart-rate, and shares your runs on social media platforms. Also… it’s free. What else do you need? The app is available for Android only. Download it from here. This is about the funnest jogging game that you’re ever going to take part in, trust us. The key objective here is to make jogging part of a larger, real-world simulation around the game, as you were. You’re assigned missions to gather supplies (which involves stepping out, burning calories) and your movements are tracked through GPS or accelerometer. The app has audio instructions played out at key intervals while its playing your jogging playlist. 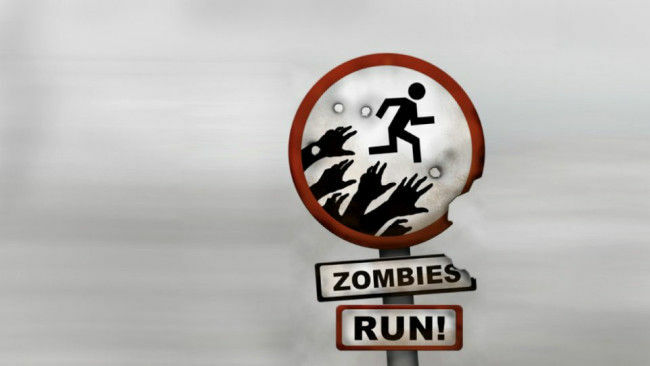 An advanced feature in the game called “Zombie Chases” involves flat out sprinting for most part, and not for the faint-hearted. Your successes and failures are tracked. Ready for some fun? The app is available for both iOS and Android. Don’t fret if you think you aren’t really ready to start running around to get back in shape. Even if it’s walking that you resort to, check out Moves. The app has a pedometer which tracks the number of steps you take in a day (aim towards a healthy 10k per day), calculates calories burnt while sitting idle, and basically does a very good job of staying out of your hair and tracking your steps-related data in the background, plotting a map of your daily activities. And thus Moves is selfdescribed as an automatic diary of your life, one step at a time. The app can be downloaded on both iOS and Android. What good is a fitness regimen that discounts lean, healthy food intake? While you’re trying hard to reduce weight, it’s equally important to monitor what you consume, and Calorie Counter is a fine app that lets you do just that. With over 3 million food items in its database, this app lets you break down exactly what you consume down to its nutrient value. Not just that, it lets you create your own custom foods and recipe calculator. 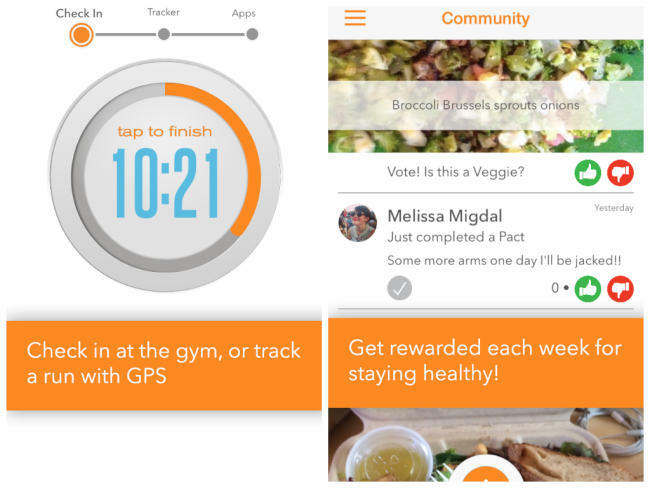 It recommends exercises, generates progress reports based on customized goals and your diet profile. It’s a comprehensive dieting app that you must try. Calorie Counter is available on Android only. If your constant excuse to skip exercise is that you don’t get enough time for it, this nifty little app blows that theory right out of the door. Hot5 is an iOS app designed for quick, intense five minute workouts that you can perform even while on the go. It solves the problem of sitting for too long at your desk by providing an easy-to-do array of exercises that’s designed to get you up and moving. From gentle stretching and power yoga to intense cardio and strength training, aided by tutorials, this app has it all. What’s your excuse now? iOS users can download the app from here. This is an app that claims to stimulate your brain and keep it fit and healthy. There are a variety of short games that the app offers – number based, some involving flashcards, and so on. Each of the games is meant to train one of five core cognitive functions: working memory, flexibility/agility, attention span, problem-solving, and processing speed. After creating a profile and setting your limit of games, you can start whenever you have time to kill. A good app to get your brain up and running, so to speak. You can get the app whether you have an iOS or an Android device. 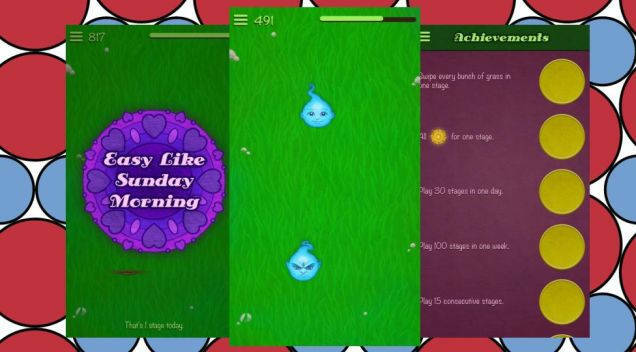 This is a game that promises to drive away anxiety and calm your mind within 25 minutes, and it’s all the rage for stressed out netizens trying to calm their nerves. Created by psychology professors, it is set in a garden where two faces – one happy and one angry – drop into the ground. You’re encouraged to trace a line left by the happy face in the grass. There’s scientific data suggesting that as you play more, your eyes get tuned to searching out the happy face, and ignore the angry one. With serene music that calms the nerves down even further, this game’s worth checking out. iOS users can download the app from here.